With Black Friday and Cyber Monday past us, the holiday shopping season is now in full swing, and many people are pondering a new PC purchase. Whether you're getting a new tower for gaming or an ultraportable to tote around at meetings, don't throw out your old PC! Sure, its glory days may lay in the past, but as long as the aging machine you're about to replace still runs there are plenty of ways to put it to good use. It always sounds like a good idea, but few people are willing to take the plunge and turn a PC into a media streaming and playback powerhouse. 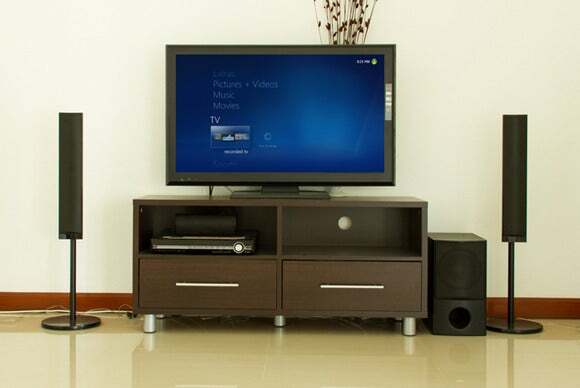 Now that you've got an old PC kicking around, why not give it a try and plunk that PC in your living room's entertainment center? You can use it for streaming music and videos, playing downloaded files, and, depending on your hardware, watching DVDs and Blu-ray discs too. Slapping dedicated home theater PC software on the system will make it even better for couch surfing. And on top of that, your living room will have a built-in slideshow machine and a way to play PC games on the big screen! If you're swapping out your old PC for a more beastly rig, the aging machine can be used as a conduit to bring the glory of PC gaming anywhere in your house. Valve recently added a new feature to its Steam PC gaming client that lets you stream your full-blown games from one "host" machine to another "client" machine, effectively transforming your old hardware into a powerful, impromptu gaming PC—though it takes either a hardwired or 802.11n or 802.11ac Wi-Fi network for best results. The results are utterly magical. 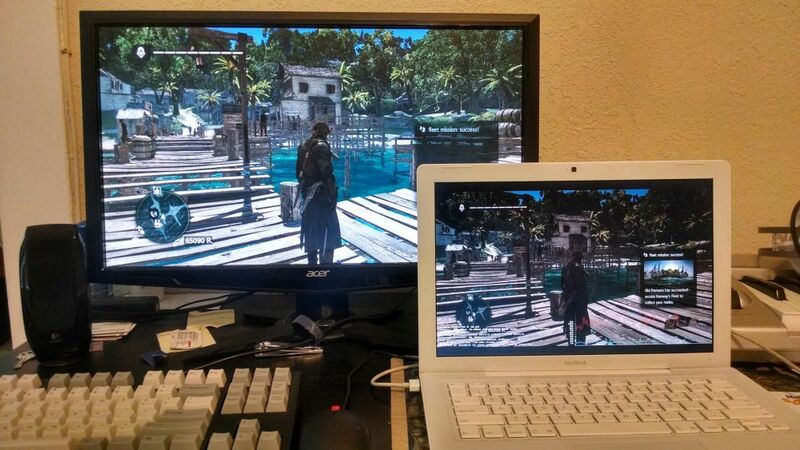 Playing Assassin's Creed IV: Black Flag on a crusty old 2006-era MacBook with the help of Steam in-home streaming and a gaming PC to power the actual gameplay. And if you've got your old PC hooked up to your living room PC and a nice set of speakers, well, grab a controller, pop open Steam Big Picture mode, and get your game on! It's also a great option for portable gaming—connect your old laptop to your gaming rig via Steam in-home streaming and suddenly you're able to play modern games from the comfort of your couch, bed, or wherever. Even better, the technology is dead simple to set up. We've got a primer on how to turn your old PC into a gaming beast with Steam in-home streaming. Why hand down your old iPad when you can give your young ones an education on how to use a proper PC? The way the world's going you can never start teaching your kids about technology too young. There are even a number of lightweight, kid-friendly operating systems you can swap out for Windows to give your old PC new life. An old PC is also a great opportunity to learn more about how websites work by running your own web server. If you're currently running a WordPress blog with a custom URL that only you and your mom read, why not try managing the whole enchilada yourself? You'll save that $100 you spend every year on hosting, and you'll soon be acquainted with the ins and outs of the LAMP stack. If WordPress isn't your bag, you could also try running a simplified site written in HTML running on an nginx-powered server. Just don't try to run a high traffic website out of your home. A few hits a day is no big deal, but websites running on a home Internet connection tend to be slow. Plus, if for some reason you become an Internet star you may run afoul of your ISP's terms and conditions due to all the increased web traffic. If web administration isn't for you, how about improving your home network with a shared file server for all the devices at home? Think of it as a central repository for all the photos, music, and movies that are spread across various devices right now. With some free software, creating a file server is pretty straightforward and you'll have the peace of mind knowing that all your files are finally in one place and accessible by every device in your home. Intrigued? PCWorld's tutorial on how to turn an old PC into a home server with FreeNAS can help get you up and running in no time. What do you do with your old PCs? Share your secrets in the comments!